When the Great War 1914-1918 was declared, Shireoaks was a very small closely knit community. Imagine the sense of loss and heartbreak felt when a total of 24, young men of the village perished in battle. The feeling of loss must have, in some way, touched almost every family. We cannot conceive the grief and mental torment, suffered by these God fearing people. ALBERT ADWICK Private 306100, 11th Sherwood Foresters. GEORGE ANDERSON Died shortly after returning home from France, Having been severely gassed. JOHN RADLEY EDDISON Second Lieutenant, 8th Sherwood Foresters. Aged 26. JOHN WILLIAM EDWARDS Private 140379, Royal Engineers. Aged 18. GEORGE FENTON Private 15302, 1st Sherwood Foresters. Aged 22. CHARLES HERBERT FITZJOHN Private 22149 2nd Seaforth Highlanders. Aged 24. FREDERICK FOSTER Private 15264, 2nd Sherwood Foresters. RUDLOPH HARGREAVES Private 42161, 2/6th South Staffordshire Regiment. BERNARD HARVEY Corporal 13304, 1st Yorkshire & Lancashire Regiment. Aged 27. G. CECIL HIGHAM Corporal 1409, 8th Sherwood Foresters. Aged 23. WILLIAM MALLENDER Private 11248, 7th Leicestershire Regiment. Aged 25. JOSEPH MARSDEN Private 21037, 2/7th Lancashire Fusiliers. WILLIAM JARVIS NEWTON Private 203362, 6th Cameron Highlanders. Aged 22. ALBERT EDWARD POYNTER Private 14816, 2nd Sherwood Foresters. Aged 35. HARRY PRIDMORE Private 12th Sherwood Foresters. WILLIAM WAINWRIGHT SPENCER Private 306510, Lewis Gunner 2nd/6th Sherwood Foresters. Aged 22. ARTHUR STOCKS Private 3513, 8th Sherwood Foresters. Aged 21. TOM TAYLOR Private 307509, 2nd/8th Sherwood Foresters. GEORGE HENRY TOWELL Lance corporal 6696 A Company 11th Sherwood Foresters. Aged 29. ALFRED T. WARBOYS Private 19536, 2nd Northamptonshire Regiment. After the war was won and peace declared, Shireoaks tried to return to normality, its residents settling down to rebuild their shattered lives. A War Memorial was erected in the grounds of St Luke’s Church, so the deeds of our brave young men, would never be forgotten. The memorial was designed in the form of a “Calvary Cross” a beautiful piece of workmanship, standing on an octagonal stone base with a figure of the Crucified. On Sunday 16th May 1920 the parish church was packed for the sung celebration of the Holy Communion, prior to the unveiling ceremony. Its congregation included a large contingent of ex-servicemen who had returned home. The celebrant was the vicar, the Rev H Cowgill. Hymns included “Now the labourers task is o’er, fought the battle, won the crown”. Each verse ending with the refrain “Grant them Lord eternal rest, with the spirits of the blessed”. Such a heavy price to pay to keep our country free. How much we are still in their debt. The service over, a procession was formed to the Memorial, headed by the Church Wardens with their Wands of Office, the Cross-bearer and the Banner-bearers, followed by the choir clergy and congregation. The hymn for the procession was “Now the thirty years accomplished”. 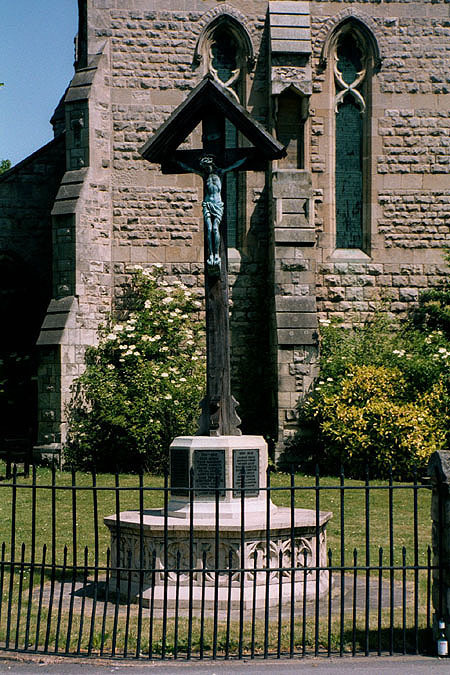 On arriving at the “Calvary” Mr. Getliffe in the name of the vicar and church wardens the custodians of the churchyard and the subscribers, asked Mr. Hubert Brownlow to unveil the Memorial, which until then had been covered by the Union Jack. Mr. Brownlow performed the unveiling with the words; “To the glory of God, I unveil this Memorial of my comrades, who laid down their lives in the Great War, in the name of the Father and of the Son, and of the Holy Ghost, Amen”. The hymn, “When I survey the Wondrous Cross” was sung accompanied by the Shireoaks Band, and the vicar dedicated the Memorial with prayers. An address was given by Cannon D’Arcy who stood on the base of the cross. He said they had met on a very solemn occasion for the unveiling of that most beautiful Memorial erected on behalf of those who had given up their lives for the parish in the war. He ventured to say that if any of those men whose names were on the memorial could speak to them that Sunday morning, they would reply, if any of those present were to begin to praise them for the noble deeds they did on the battlefield. “WE DID OUR DUTY”. Nobly they did it! It could never have been conceived that less than thirty years later we would be involved in a Second World War. The conflict claimed a further twelve young lives for our village to mourn. REGINALD FISHER 6983383, Fusilier 2nd Battalion Royal Inniskilling Fusiliers. Aged 33. WILFRED GOOD 1439501, Sergeant Observer Air Bomber RAF Pathfinder Force 405 (RCAF) Sqnd. WILLIAM HANCOCK 2317493, Driver Royal Corps of Signals. Aged 40. JOHN LYNFORD NIELD 1513571, Airman 1st Class 36 Sqdn RAF. Aged 20. ROBERT PERKINS Ordinary Seaman, Royal Navy. Aged 41. ERNEST LESLIE PINDER 553278 Private 1st/6th Battalion South Staffordshire Regiment. Aged 28. BENJAMIN REDFERN 141847, Flying Officer RAF 684 Sqdn. RONALD SOUTH 195242, Pilot Officer Air Gunner RAF 90 Sqdn. Aged 22. GEORGE SYLVESTER 5052718, Lance Corporal No5 Commando, North Staffordshire Regiment. Aged 27. WILFRED KEITH WALKER 1076680 Sergeant Air Gunner Royal Air Force 44 Sqdn. Aged 21. In order that they would not be forgotten, money was raised through public subscription plus a concert and other fund raising activities to purchase a War Memorial Turret Clock. One notable feature in this collection was the wide sympathy which the appeal evoked and the unstinting generosity of our village people. At a public meeting it was unanimously decided that Mr W H Getliff should set the clock in motion. His association with the village began in 1898, when he was appointed Headmaster of the C of E School, and continued until his retirement in 1930. The dedication and setting in motion service took place on Sunday, 9th November 1947; at 3pm. Mr Getliff set the clock in motion. The clock is dedicated to those who died and served in the Second World War. 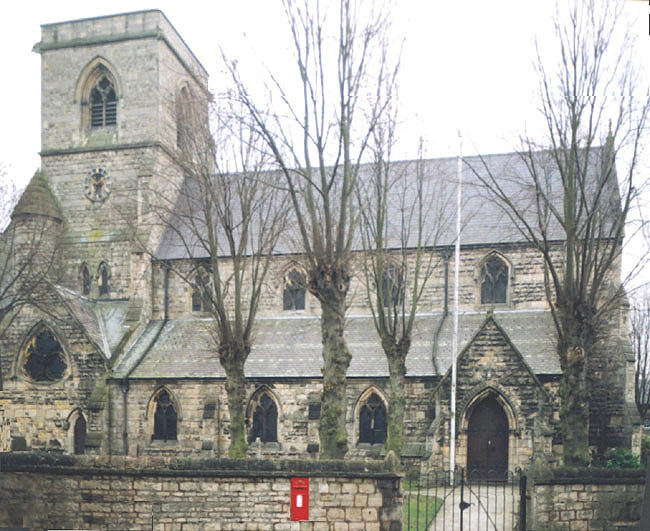 The service was conducted by the vicar, the Rev’d Herbert Newton, the organist was Mr J R Knowles and the lesson was read by the Mayor of Worksop, Councilor E Harris, JP. The address was given by the Archdeacon of Newark, the Ven H J West. The Memorial Clock was a visible expression of the debt we owe to those “Who died that we might live” and a perpetual reminder of the cost of their sacrifice, may it also - as it records the passage of time - inspire each one of us to renewed effort in striving for the peace which has been denied them. 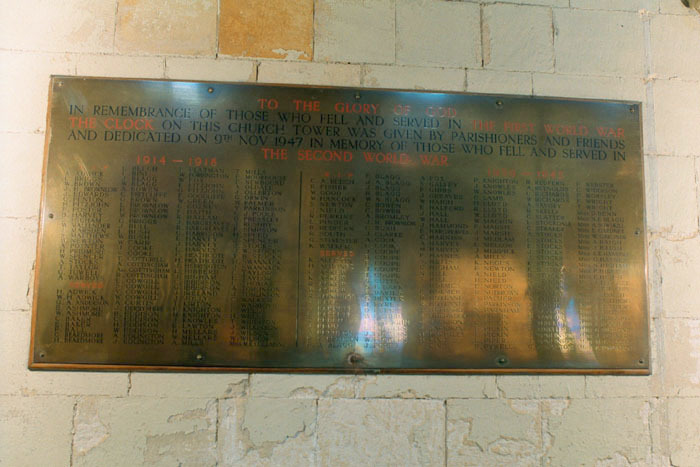 In remembrance to both World Wars a brass War Memorial Plaque inside St Luke’s Church was unveiled and dedicated on Sunday, 27th November 1949. Service conducted by Revd Herbert Newton and the lesson read by Mr W H Getliff. The Plaque was unveiled by the Mayor of Worksop, Councilor S J Skillen, and the address was given by the Assistant Bishop of Southwell, the Right Revd J R Weller, M.A. Due to the passage of time and erosion caused by the weather and pollution, the War memorial had become in urgent need of restoration. 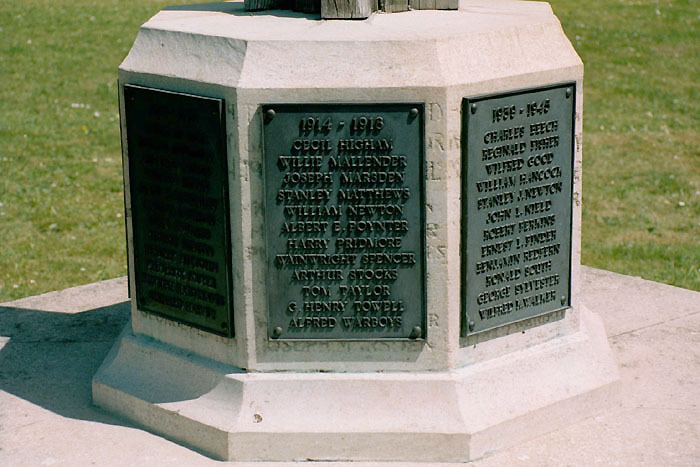 The Parish Council agreed to fund the work, also deciding that the names of those lost in the Second World War be included along side those of the Great War. Owing to the erosion of the previous inscription and names, it was decided that they be replaced on plaques fixed to the stone face, the stone having been cleaned by wet grinding. The upper part of the oak crucifix had rotted, this had to be renewed. New stone paving has been laid around the base of the Memorial and the damaged railings repaired and painted. Overgrown trees and shrubs around the Memorial were removed and the grass reinstated, exposing the memorial to full view, all at a cost of £2475. 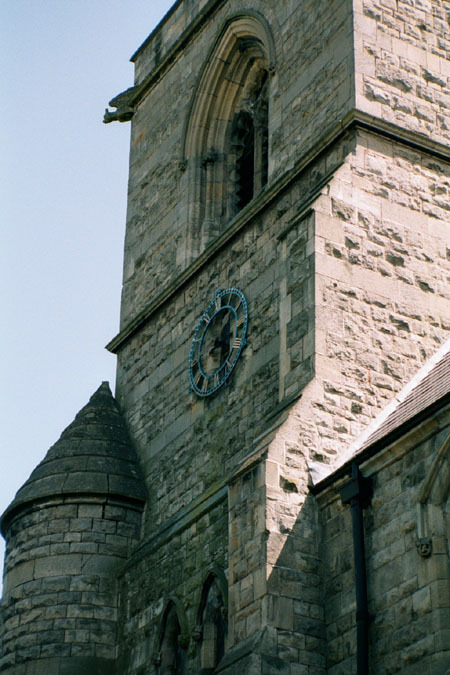 During this period the Memorial Clock broke down and the hour hand on the Clock’s north face broke off. To rekindle that village spirit shown when the Memorials were first provided, an appeal was made to enable work to proceed. The clock’s movement has been overhauled, fully cleaned, with worn parts being removed and replacements made and fitted. The electric motors have been repaired and overhauled and the electric wiring renewed. The hammer striking mechanism to the bells has been overhauled and the broken hour hand replaced, all at a total cost of £2475.